Gob-side entry retaining technology is an effective method for sustainable exploitation of coal resources and has been widely used in China. However, there are a large surrounding rock deformation and hard support in the gob-side entry retaining. In this paper, take the gob-side entry retaining in thin coal seam from Jiyang Coal Mine as the engineering background. Firstly, using FLAC software to simulate and analyze the deformation and stress distribution of gob-side entry surrounding rock in different schemes. Secondly, a new coupling support method was put forward after taking full consideration of the simulation results and field engineering experiences, namely: “bolt-mesh-anchor” for basic support, single hydraulic props as reinforced support of gob-side entry, and reinforced filling wall with bolts. 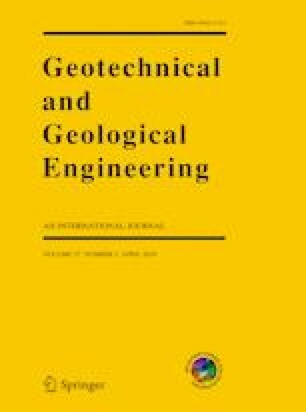 In-situ engineering practices showed that this method has a good effect on controlling the deformation of gob-side entry surrounding rock and creates the better conditions for normal production of the working face.